Purpose. The Board of Directors accepts and endorses the Administrative Team and the Management Team concept for the conduct of administrative relations in the District. The general purpose of this policy is to foster mutual support and loyalty of the Administrative Team and the Board of Directors working within the guidelines of the State’s statutes, rulings of the Iowa Department of Education, and the policies established by the Urbandale Board of Directors. 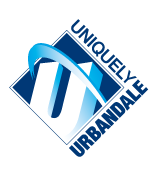 The Administrative Team and the Board of Directors recognize the need for cooperation, understanding, and mutual support to operate an effective program of educational opportunity in the UrbandaleCommunitySchool District. A. Administrative Team – includes all administrators and supervisors under the direction and leadership of the Superintendent. B. Management Team – includes the Administrative Team and the Board of Directors. Total commitment at the behavioral level is required by all team members. Respecting expertise, qualifications, roles, and responsibilities allow for appropriate decision-making at many levels with positive and mutual support at all levels. A. The Board of Directors is responsible for making the final decision in all matters pertaining to District policy. The Board of Directors delegates the responsibility for the operation of schools to the Superintendent and hence to other administrators and supervisors. B. The Superintendent is the chief executive officer for the Board of Directors and the leader of the Administrative Team. These two roles are joined as the Superintendent convenes meetings of the Management Team to discuss District policy development, administrative procedures, and other matters. building administrator is responsible for administering an educational unit in accordance with the individual’s management document. A central office administrator or supervisor is responsible for administering a specific unit of operation in accordance with the individual’s management document. D. All members of the Management Team have the responsibility for exercising full expression during the decision-making process which leads to recommendations for Board action on policy matters. Those members of the team who shall be directly affected by the team’s action shall be specifically called upon to provide the team with necessary information as well as their professional judgments as to the effects of various proposed actions. An attempt will be made for all team members to reach mutual agreement on areas discussed.